Non–Vitamin K Oral Blood-Thinners Can Cause Bleeding When Combined With Other Drugs A class of blood-thinners known as non-vitamin K oral anticoagulants (NOACs) is associated with the risk of major bleeding when combined with other drugs. Researchers found 4 drugs in particular that cause serious interactions: amiodarone (for arrhythmia), fluconazole (an antifungal), rifampin (for tuberculosis) and phenytoin (an anticonvulsant). The researchers examined data from the Taiwan National Health Insurance database, which included 91,330 patients with nonvalvular atrial fibrillation who received at least one NOAC prescription. The results showed that some of these drug interactions could cause major bleeding in the brain as well as in the gastrointestinal and urinary tract. Posted October 3, 2017. Via The JAMA Network. Side effects jump after blood pressure drugs go generic. 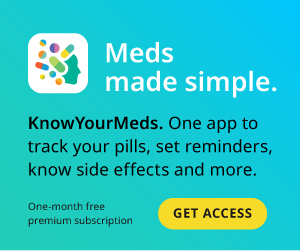 Side effects significantly increased among users in Canada one month after 3 common blood pressure medications became available in generic form, according to a study published in the American Heart Association Journal. Researchers compared the hospital visits and emergency room consultations of 136,177 patients who took losartan (Cozaar), valsartan (Diovan) and candesartan (Atacand) before and after the generic forms were released. Roughly 10% of patients experienced side effects before generics became available. After generics were released, side effects increased 8% for losartan, 11.7% for valsartan and 14% for candesartan. Posted October 3, 2017. Via Circulation: Cardiovascular Quality and Outcomes. Blood-Thinners Can Lead to Blood in Urine, Especially Among Seniors Antithrombotic medications (blood-thinners) were linked to significantly higher rates of hematuria (blood found in urine) complications, specifically among older adults, according to a study published in JAMA. The study examined 808,897 patients who received at least one prescription for an anticoagulant or antiplatelet medication drug from 2002 to 2014. After conducting a 7-year follow-up, researchers found the rates of hematuria-related complications, including emergency department visit, hospitalization, or a urologic procedure to investigate or manage noticeable hematuria, were 124 events per 1,000 person-years among patients actively exposed to the drugs vs. 80 events among patients not exposed. Posted October 3, 2017. Via The JAMA Network.